The 21-year old singer/songwriter, never choosing comfort over fashion, is a walking expression of the original artist she is. 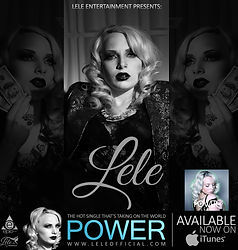 Pop Singer Lele makes grand entrance releasing her latest hit single “Power”. Read Full Interview with Lele in this September issue. Click on cover to read or Here to see the original post on El Barrio Magazine. 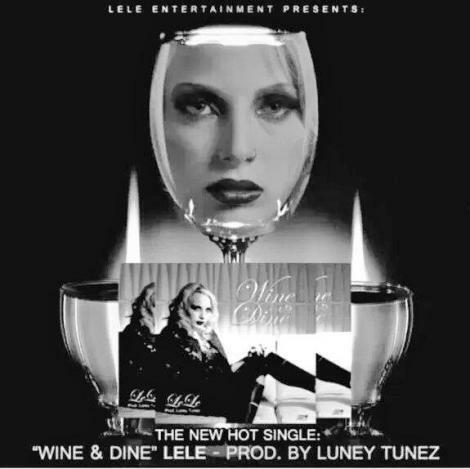 Twenty-one-year-old LeLe is Detroit’s fastest rising POP artist with her Blazin Hot single POWER available In all digital retailers and LeLeOfficial.com. Click Here to see the original feature. Exposed Vocals: How did you hear about Exposed Vocals? What made you decide to sign up? LeLe: I actually found Exposed Vocals on Twitter! LeLe: I grew up in Sterling Heights, MI. Since I was young, I have always sung and written.. I furthered that by getting invited to a convention in Los Angeles and started working with a producer and knew it was destiny. Exposed Vocals: How did you come up with that name? What was your inspiration behind it? LeLe: Of course I do! You can’t start from the bottom just expecting people to buy your stuff, you have to prove yourself. I think online music sharing is a great opportunity for all artist to show what they got. Exposed Vocals: Since everyone was a start-up once, can you give any smaller or local bands or artists looking to get gigs and airplay some tips? LeLe: I’d say social media is what’s super important now a days. You can find almost anything online, and sadly it’s just as much about networking as it is the talent. Exposed Vocals: Do you ever make mistakes during performances? How do you handle that? LeLe: I’d say everyone makes a mistake at some point. You just have to work with it and look at it as improve not a mistake. Exposed Vocals: Do you tour? Anything interesting happen on tour that you think our readers would enjoy hearing about? LeLe: I have not been on a tour but I have traveled to perform. Something interesting always happens.. I went to Atlanta just to find out they had to cancel the show because it wasn’t marketed right. Exposed Vocals: Where do you usually gather songwriting inspiration? What is your usual songwriting process? LeLe: It’s always different. Sometimes I hear one word and boom! it sounds like a song title. I have the vision for my whole album and it started from my journey in LA.. you meet tons of shady people there which is what influenced me to write a certain way. Exposed Vocals: Do you have a band website? What online platforms do you use to share your music? I use all social media! Soundcloud, youtube, itunes for my music which you can find in the top right of my website. Exposed Vocals: What are some really embarrassing songs that we might find on your mp3 player? LeLe: Hmmmmm I’m sure there’s some Disney Hilary Duff or Hannah Montana somewhere on there hahahahha. Exposed Vocals: If you were given half a million dollars and a year off, what would you do? How would you spend it? LeLe: haha I don’t want a year off! I want to keep making more and more music. I would get so bored. Exposed Vocals: Any planned studio upgrades? What are you working with now? LeLe: I’m happy with the studio that I used for my song Power which I feel the quality is right where it needs to be. Exposed Vocals: How do you find ways to promote your music? What works best for you? LeLe: I think Twitter is a really good outlet.. Most of my fans use that and it’s a good way for them to share it too. Exposed Vocals: If you could perform anywhere and with any artists (Dead or Alive) where and who would it be with? Why? LeLe: I’ve heard great things about Madison Square Garden.. that would be a dream. I love love love Amy Winehouse, Lady Gaga, Lana Del Rey, Eminem, Madonna.. the list goes on. They’ve all been huge inspirations and Madonna and Eminem are from my hometown. Exposed Vocals: So, what’s next? Any new upcoming projects that you want to talk about? LeLe: I’m going to re-start my song “Stalker” that I got frustrated with.. The sound isn’t like any of my other songs. Exposed Vocals: If you weren’t making music, what would you be doing? LeLe: That I have no idea about. I like makeup and marketing but can’t really picture myself doing that. Exposed Vocals: Do you remember buying your first album? Who was it? What was going through your head? LeLe: I’m pretty sure it was Spice Girls or Britney Spears, I was obsessed with both of them and would dress up, sing, dance, and make my own music videos. Exposed Vocals: How do you juggle the rest of your responsibilities while trying to stay ahead in your music life? LeLe: That’s where it can sometimes get challenging because we all have to make a living. I’ve had a lot of help from family which I’m super grateful for. Exposed Vocals: What should fans look forward to in 2015? LeLe: I think it’s about time to finish the album, yeah? We were just working on a radio campaign which is huge for me.. the next step is traveling, which I am MAINLY excited about.. that’s where my true love lies. You have just recently released your brand new video for “Power,” which I have to say is quite an impressive and well laid out video. How was the idea for the video conceived with relation to the song? LeLe: Thank you. It actually started with a completely different theme on my end (more similar to my last video “Money Whore”). It was a continuation just as the song is. 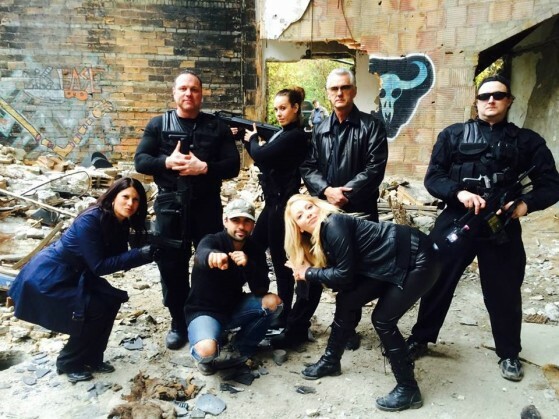 But we wanted to take it a different route so I let the director take a little more creative control on how he perceived the story. You are currently working on your debut album. How exciting has the process been in getting your album ready for the release? LeLe: It’s definitely amazing, it’s what I love to do.. It can be frustrating at times because you hear it in your head but don’t always know how to bring it to life. But it’s time to finally let my fans have what they have been waiting for. Has the process of writing all your own music ever felt overwhelming at times? LeLe: I wouldn’t have it any other way.. Only I can tell my story but sometimes it is frustrating like I said above because you don’t always know how to explain to co-workers what you’re trying to establish and it might not always turn out how you hear it but it is just as good in a different way. Is there one song in particular that you are proud of the most with the way the song turned out? 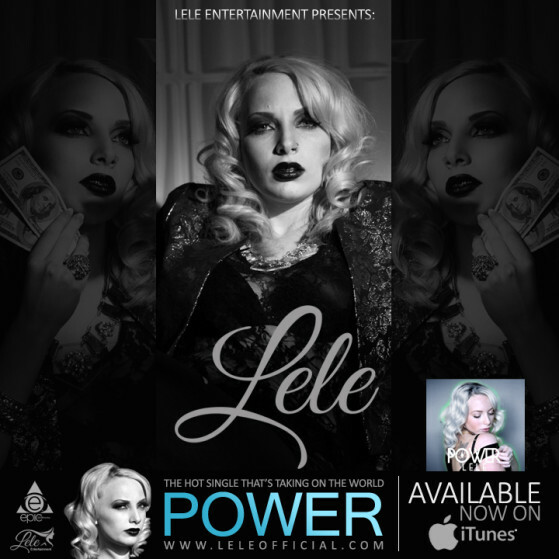 LeLe: I would definitely say “Power.” It was the first song that turned out just how I envisioned melodically and lyrically. Also, it was the first song I believe to be “radio ready”. How many tracks should your fans expect with the release? LeLe: The plans for a full length are in the works, however right now I am focusing on releasing a new single and writing new music. Have you decided on a release date? LeLe: I don’t have any official release dates for a full length album, but you should keep your eye out for a brand new single late this summer! Is there going to be any touring in support of the release? LeLe: I do plan to perform here and there, but right now most of my attention will be centered around creating and perfecting the music itself. Any expectations for the album success? LeLe: Definitely aiming towards that goal! When I release a full-length album I can absolutely say that I expect a lot of success. That is the main reason why I’m taking my time and making sure everything is perfected. So far we are on the right track. When it becomes time, where can people find copies and links to your Album and Social Networking? LeLe: When it is time you can find me on Facebook; LeLe official. my Twitter handle @leleofficialll (Update: @iamlelexo) ; iTunes; and most importantly my website www.leleofficial.com! LeLe XO’s video POWER directed by Sam Logan K made it to MTV see original post Here. Megan of Arsoncapitol.com speaks with pop singer LeLeXO for Our People & Places Detroit.